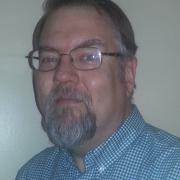 A: My name is Russell Pavlicek and I have been an Open Source advocate for over 20 years. I have spoken over 100 times at conferences, with one book and a couple hundred written pieces. I've been a software developer, a software services consultant, an Open Source columnist, a product manager, and most recently, the evangelist for the Xen Project team. Following downsizing activities at my last employer, I am looking for a new job opportunity. Q: You're giving a talk on "The Bare-Metal Hypervisor as a Platform for Innovation." Without tipping your hand on the actual talk, can you give us an idea of what we might expect? A: In the world of the Cloud, hypervisors are seen as mere plumbing. But, in actuality, hypervisors are extremely important. In this session, we will explore how a bare-metal hypervisor is being used to foster innovations which could change the nature of computing and the cloud dramatically. From Unikernels, to embedded hypervisors in cars and trains, to real-time VM support, bare-metal hypervisors are helping to create new solutions which reach new heights in scalability, security, and density. Q: You mentioned Unikernels. Does this tie in with "Unikernels and More: Cloud Innovators Forum" which will be held on Friday at SCALE? A: Absolutely! Xen Project has constructed the widest-ranging group of Unikernel sessions ever assembled into a one-day event. While you're at SCALE, make sure you spend Friday with us and learn about the technology which will remake the cloud! A: This will be my third time at SCALE, and my second time speaking here. I always enjoy coming to SCALE. The attendees are great, the sessions are top-notch, and the organizers are the best. The community spirit is simply not to be missed. If you only go to one Open Source conference in the US per year, this would be it. A: If you think that you are looking at the future of computing by focusing on containers alone, think again. Unikernels and other technologies will have a disruptive influence on computing and the cloud. Join us Saturday for my talk, and Friday for the Cloud Innovators Forum, to find out how!